Our Vietnam cycling holiday starts in Hanoi. We appreciate that people join redspokes tours from all over the world; no matter what time you arrive at the airport on the tour start date, you and your luggage will be transferred to the joining hotel. Please bear in mind that if you arrive before midday you may have to wait for your room to be made available. If you decide to arrive before the tour start date redspokes can assist you in booking your accommodation and will organise a transfer to your hotel at additional cost. Our tour price does not include your international flight. The holiday ends in Hanoi on Saturday morning with a transfer to the airport; this is included in the tour price. 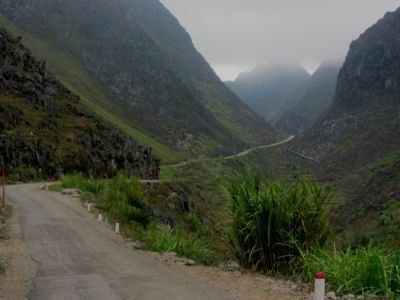 If you decide to stay in Vietnam beyond the last day of the tour redspokes can help you organise extra accommodation and transfers to the airport if needed. If flying from the UK, Singapore Airways appear to be the favoured airline by our customers. Check out www.expedia.com or www.opodo.co.uk for an idea of times and prices. You must be in possession of a valid passport and visa. Certain exemptions apply. Please follow the link here: vietnamembassy.org.uk. Passport must be valid for at least 6 months after date of arrival or 1 month after expiration of visa. Visa application forms for UK residents can be obtained by clicking here. Plan ahead for your vaccinations, some of them require more than one injection you should seek medical advice at least six weeks before travel. No vaccinations are currently required for the tour, but the following are recommended: Hepatitis A, Typhoid, Diphtheria, Polio and Tetanus. If you have recently traveled in a Yellow Fever affected part of the world, proof of an inoculation is required. Expert advice on medication should be sought. All of the time you will have the security of a back-up vehicle; either a jeep or a bus. The vehicle will carry our entire luggage (we transport your main baggage by support vehicle from each overnight stop to the next) and yourself if you want. The back up van will be with us throughout the day stopping around every 15 miles. Our leaders carry a good tool kit and will help to fix any bike problems so all you normally need to carry is a daypack, for your camera etc, however, we cannot guarantee that we will be equipped for all repairs, so you must ensure that your bike is in good working order before the tour. If in doubt, have it fully serviced by a bike shop before you travel. This tour is suitable for most types pf bicycles; however, please ensure that you bike is in good working order before you leave on tour. If you are not the most mechanically minded we suggest that you get your bike looked at by a professional bike mechanic. In particularly we would suggest looking and adjusting all wheel spokes, greasing all your bearings, checking your brakes/gears cable, tighten all nuts and bolts, check chain, quick release clamps, tires and put in new inner tubes and check wheel rims are not worn. In addition make sure the bike is well serviced and ride it with as much care and attention as possible. In terms of clothing this is clearly up to you and we can only supply a rough guide as to what to take. This guide is entirely flexible and should be tailored to your specific needs. Sunglasses, lightweight trekking boots/shoes, cycling footwear, lightweight socks (3 pairs), heavy socks (1 pairs), underwear (4 pairs), lightweight thermal long johns, lightweight, long-sleeved thermal shirt, lightweight trekking shorts, padded cycling shorts (2 pairs), shorts, t-shirts (2), lightweight, long-sleeved shirt, fleece jacket/pullover, biking jacket, waterproof (breathable fabric), fingerless biking gloves, warm gloves, fleece hat or cap with earflaps, headlamp & spare bulbs/batteries, spare laces, sunglasses, toiletries, basic first aid kit, towel (small), small padlock, 2 large plastic bags (for keeping items dry in your bag), sun Cream, lip Balm. If you have any questions about this list please feel free to contact us. For this tour we have Giant Anyroad bikes (or similar) in a range of sizes. They are mostly new for this season and all are well maintained bikes with Shimano components and suspension forks. Spare parts (tubes, tyre, chains etc.) are included in the price of the bike rental and will be carried in the support vehicle with a tool kit and track pump. The bikes are equipped with flat pedals. Those who prefer to use spd or clip-in pedals, are welcome to bring these with you, along with your own cycling shoes and cleats. You are also welcome to bring your own saddle. The guide will carry some spares and tools for fixing punctures etc. but we suggest bringing a couple of spare inner tubes (26 x 1.75), a pump and a puncture repair kit. If you are able to do a simple repair yourself this will avoid the need to wait for assistance should the team or support vehicle be any distance away. Helmets are not included in the bike hire, you will need to bring your own helmet. Accommodation will be in hotels, guest houses and a home stay for the duration of the tour. Our prices are based on sharing a twin room; single rooms are sometimes available at extra cost. All food is provided from on tour apart from the rest day in Ha Giang and lunches and dinners in Hanoi. Rice is the staple food in Vietnam. Soup with rice noodles is a national dish. Spending money depends on your taste for souvenirs, drinks etc. We estimate that £120 will be more than enough to cover the 14-day tour. International departure tax is around £18. Tipping is an accepted part of everyday life, and although it is always at your discretion, you will be expected to tip to reward service. £20 for the guide and team at the end of the tour is recommended. International: US$12 from Hanoi, payable in US Dollars or New Dông. Vietnamese is the official language; English is generally favoured as a second. Chinese and Khmer and numerous other local languages are also spoken in places. Vietnamese New Dông (approx. VND 26,131 to £1). The US Dollar is the most favoured foreign currency and we recommend taking some US Dollars travelers cheques and money in small denominations. British currency can usually be changed in the larger cities. There is a charge for changing money in banks. Travelers Cheques are widely accepted in hotels and banks. Buddhism is the major religion in Vietnam. 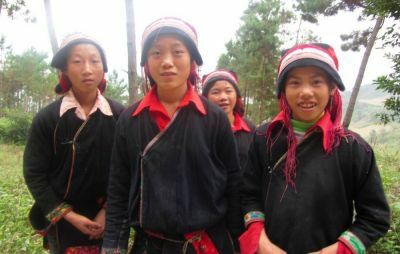 In the far north Hoa Hao and Cao Daism are among the indigenous religions along with groups that have animist beliefs. Ancestor worship is an important influence in Vietnamese culture. Other religions are Christianity and Islam.